I’ve been getting into the festive spirit lately by creating some Winter jewellery designs ready for Christmas. Like all my silver jewellery, they are inspired by my love of nature. I love holly with its bright red berries and have a holly tree in my garden hedge. The berries are great for feeding Winter birds and bring a bit of colour to a dull day. These holly berry earrings are lovingly handcrafted in solid silver and I think they are the trickiest design I have ever made. Each leaf has to be individually hand made. Then they are soldered onto the earring base, are ‘pickled’ and then sanded and polished, before being hung with the red berry drop. I have also made a foray into snowflake designs. I absolutely love the snow and always try to escape the doom and gloom of Winter to somewhere where there is crisp snow and sunshine. These sparkly earrings are inspired by my love of the snow and bright frosty Winter mornings. I have two styles of snowflake and can make them as earrings, pendants or bracelets. My jewellery makes a wonderful ethical Christmas gift. 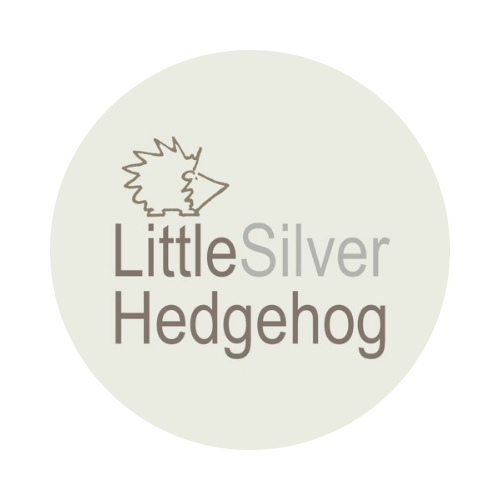 All my jewellery is handmade in solid silver and the proceeds support my work helping to save our wild hedgehogs.